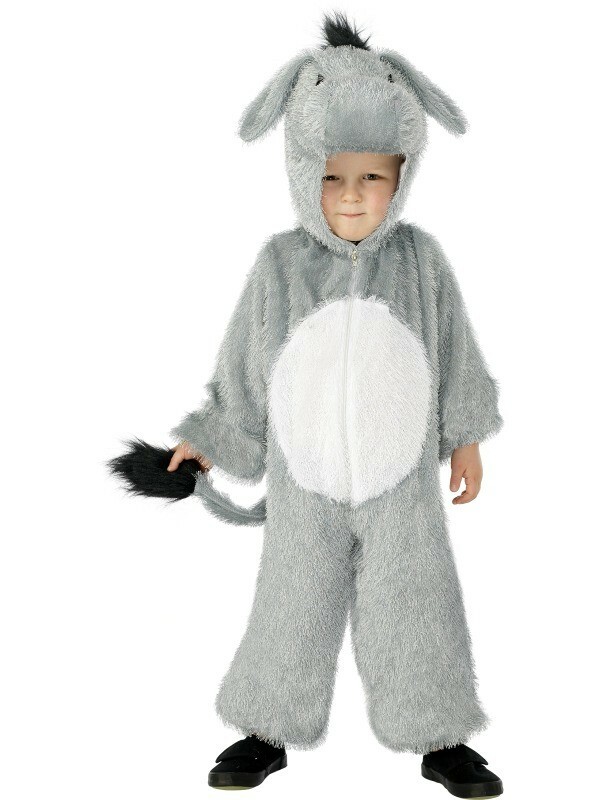 The Donkey Costume for Kids is made of the finest soft material. 1. A grey zip-up jumpsuit with white belly and tail. 2. A detachable character head.